The online gambling industry has been expanding rapidly in the past few years, and though this means a lot of variety for new punters hoping to place a wager, it can make choosing a site for online roulette, slots or poker a bit of a challenge. Fortunately for gamers looking for a new site to play, Online Casinos Planet is now offering a comprehensive guide that should help make the selection process all the simpler. "Our website is a single stop resource for the most reliable and safe online casinos," the site’s owner told the press. "We have extensively researched and identified the most recommended casinos. Based on this information, we bring our customers a convenient summary and the latest news to help them choose with confidence." 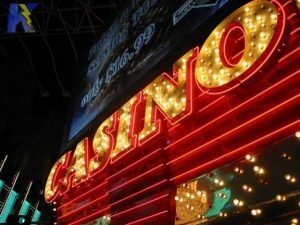 The site even includes write-ups of live-action casinos, so travelers can know what they’re getting into when attempting both off- and online gaming. Users can also sharpen their skills at any of the site’s free casino games, which include American roulette, blackjack, progressive slots, video poker, baccarat, craps and more. There is even a tips and tricks section that details some of the best advice and strategies when it comes time to lay real money on the line at an online casino.